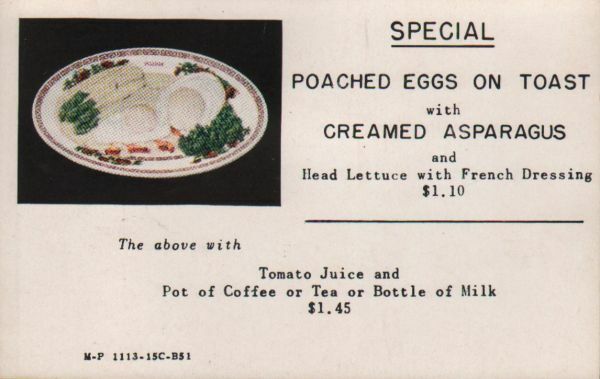 Description Pullman insert (called a rider by Pullman) advertising a Special: Poached Eggs and Toast with Creamed Asparagus and Head Lettuce with French Dressing $1.10, The above with Tomato Juice and Pot of Coffee or Tea or Bottle of Milk, $1.45. 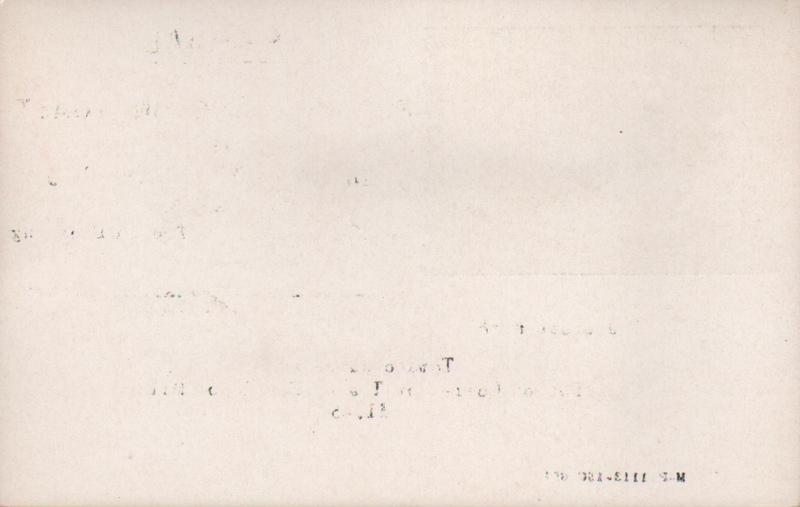 M-P 1113-15C-B51. This rider was purchased as part of a large group of Pullman inserts and was not attached to a specific menu.